Dame Trott has reluctantly decided to sell her beloved Cow Buttercup, in order to stave off eviction from her dairy. Meanwhile, the village is being terrorised by Snot the Giant who was created by the evil Witch Hazel. 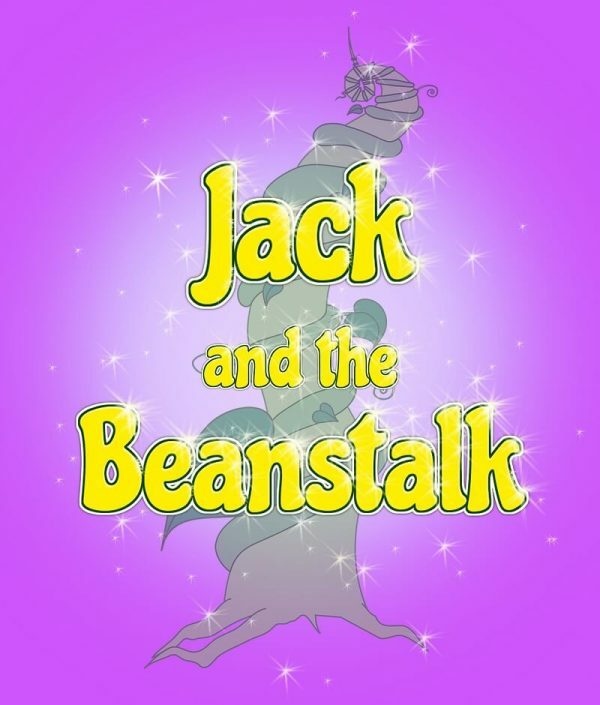 Dottie’s son Jack, meets and falls in love with Princess Crystal, who is promptly kidnapped by Witch Hazel’s henchman, and taken to Snot’s castle above the clouds. There she joins Buttercup, who Jack’s brother Simon has unwittingly sold to Witch Hazel for a bag of beans. After the sudden appearance of a giant beanstalk. Jack sets off to rescue them, joined by Dottie, his brother Simon and the King and Queen. 11 principals, plus a minor speaking role for the Chamberlain. Also a voiceover Giant, plus a chorus and a pantomime cow. All of our scripts have a runtime of approx 120 minutes, assuming that you use the full number of suggested musical numbers and not including any interval. But this is very dependent on your own production and can be edited by yourselves to suit. 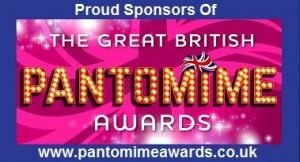 All of our pantomimes come with a full, suggested songs and music cues and SFX list. Traditional British pantomime, incorporating visual comedy, slapstick and audience participation. That was great fun, wasn’t it? (variously) Yes! It sure was! SFX: Lights flicker and thunder rolls. Villagers react by looking up in fear. (to audience) It sounds like Snot the Giant’s moving his furniture about again. I hate being always reminded of him up there. One day I’ll bring him down to earth, just wait and see. But how will you do it, Jack? I don’t know, but I’m constantly thinking of a plan. I’ve already thought of a plan. And what plan’s that then? I plan to leave and live somewhere else. Lighting changes to a sinister state and Villagers exit screaming. Witch Hazel enters (DSL) astride a broomstick. Green spot on Witch. Scabies appears in a blue spot (SR) and approaches her. Yes, Scabies. I have a wicked task for you to perform. Oh, goody! I love doing wicked deeds. What do you wish me to do, your evilness? I want you to capture some humans and take them to Snot’s castle. But his castle is way up in the clouds, your dreadfulness. How am I to get there? (takes the broomstick) Cor! It’s the new Nimbus XR2, and it’s in mint condition! And make sure you keep it that way. I plan to sell it on ebay afterwards. I’ll treat it like a baby, mistress. I hope not. You usually eat babies. Nah! I’ve given up eating babies. Yeah. I’ve moved on to toddlers now. Snot’s tummy’s rumbling again. (to Scabies) Go and find some humans to satisfy his appetite. And while you’re at it, you can also collect the villagers rent. but Simon’s a bit dim. Mind you, he was born during a power-cut. Oh, but we are poor you know. (elicits sympathy) We’re poorer than that. (louder reaction) I owe three month’s rent and I can’t afford to pay a penny. (to Villagers) Have any of you seen our Jack? Only he’s supposed to be taking Buttercup to market this morning. No, I’m entering her in the Most Beautiful Cow Competition. She’s bound to win and the prize money will pay off our rent arrears. Simon runs on (SL) carrying a handheld milk-crate containing bottles of milk. Oh. hello Simon. Do you know where your brother Jack is? (still gasping) No mum, I haven’t seen him all morning. How come you’re all out of breath? Well you said we had to economise. So I ran all the way here behind the bus, to save on bus-fare. And how much did you save? Only 50p? You ought to have run behind a taxi and saved a tenner. (realising) ‘Ang on. Did you say you ran all the way here? Let me see those milk bottles. (takes a bottle and shakes it) Just as I thought. All that jogging has turned the milk to butter. Jack enters (SR) with Buttercup, who wears a big bow around her neck. Hi Jack! (fuss over Buttercup) Hello Buttercup! Isn’t she sweet? Who’s a pretty cow then? Where’ve you been, Jack? Mum’s been searching everywhere for you. I’ve been to the garage. Mum told me to wash and groom Buttercup, ready for the beauty contest. So I took her through the car wash to save time, before taking her to market. I’m afraid the market’s shut, Jack. What? But it’s not even lunchtime! A mad bull escaped from its pen and ran amok, so they closed early. But mum was relying on Buttercup winning The Most Beautiful Cow contest, to be able pay the rent. (to other Villagers) I think Dame Trott should enter the contest herself. If she did, she’d probably get disqualified for being ‘udderly’ ugly! How dare you speak about our mum like that! Clear off, the lot of you! (to Simon) It’s not like you to stick up for mum like that, Simon. Mum might have a face like a baboon’s bottom, Jack. But I won’t have others slagging her off. I suppose we’d better go and tell her the market’s shut. You go ahead Simon and I’ll catch you up. Only I promised Buttercup an ice-cream on the way home. Ok Jack, see you later then. (to audience) I can’t find Jack anywhere, so I’m off home to see if he’s there. SFX: Sound of motorbike engines revving up. Bean and Dunnit enter (SL) on push-scooters and run around the stage. SFX: Sound of motorbike engines – screeching tyres – horn, etc. Bean and Dunnit screech to a halt either side of Dottie. (to Dottie) Are you Dame Dottie Trott, of Trott’s Dairy? On whether you’re after money or not. That’s exactly what we’re after. (introducing himself) I’m Bean. That’s all right then, ‘cos I’m broke. We’re here to collect your rent. You’ve got a lot behind. (staring at Dottie’s chest) And quite a bit in front. That was rather careless of you, wasn’t it? Was that before or after you lost him? He used to work at the local gunpowder factory, and believed he’d live a long life by sprinkling a little gunpowder on his porridge every morning. But then he died suddenly, leaving me and my two sons and a 15ft hole in the wall of the crematorium. And now I’m just a poor lonely young widow, with no money. You must have something tucked away for a rainy day. Yes, and it’s called an ‘umbrella’. I also have hungry a cow to bring up, and it costs me ten pounds a week for beauty treatment. Well between you me, it isn’t working. It’s not for me. It’s for my cow, Buttercup. I’m perfect just as I am. (aside to audience) Perfectly ugly, that is. (to Dunnit) We’re wasting our time here, let’s go. (to Dottie) Yes, but we’ll be back to cut off your electric. SFX: Loud breaking wind sound. (wafting behind her) Do excuse me. Only I had curried beans for supper. (wafting his hand) Phoar! Her gas certainly wants cutting off. You have twenty-four hours to pay up, or out you go. Bean and Dunnit ‘rev’ up their scooters and exit (SL) on their scooters. (to audience) Oh, I couldn’t bear to be evicted boys and girls. It’s a good job I can rely on Buttercup, to win that beauty contest. I just hope she remembers to smile and flutter her eyelashes at the judges. Villagers start drifting back on upstage. Jack re-enters (USR) ‘feeding’ Buttercup an ice-cream. (cutting Simon short)…There you are Jack! How much money did Buttercup win? What? After all the beauty treatment and deportment lessons I paid for her to have? There wasn’t any contest mum. A bull escaped from its stall and wrecked the market, so they closed early. That’s what I was trying tell you mum. In that case, I’m afraid it’s back to the bare-essentials for us. Villagers react in excitement and Principals move (DSR) to watch. The Royal Chamberlain enters (USL) followed by the royal family. (shouts) Make way for their royal majesties! (bangs his mace on the ground) Hear ye! Hear ye! His majesty the King will now speak to you about Snot! The Giant that is, not the runny kind. People are disappearing every day. Something must be done about it. And it will, I assure you. Just as soon as I find someone daft…I mean ‘brave’ enough, to take on the Giant. But first, please welcome Princess Crystal. Who will now make her first official public announcement. Princess Crystal moves centre stage and addresses the assembled crowd. Thank you all for that wonderful cheer. I am most honoured. Now the first thing I want to say is…does anybody know what happened on…(current TV soap)…last night? Only I forgot to set the DVD recorder, and…(King whispers to her) Oh, and would someone rid us of the nasty Giant please? Thank you. (claps wildly) Here-here! Well said my dear. (addressing the crowd) Whoever manages to rid us of Snot, will win the hand of the Princess Crystal in marriage! (shocked) Just a minute, father! I am not a possession to be given away! Sorry dear, old habits die hard. (shouts) Attention everybody! Scrub the ‘hand of the Princess’ bit. Whoever rids us of Snot, will receive half my kingdom instead’. I’d rather have the hand of the Princess. You’d have a job spending that in the shops. Unless it was a second-hand shop. (laughs) Second-hand shop! Oh, please yourselves. (bangs his mace on the ground) The royal party will now move amongst you and press the flesh. (excited) Did you hear that boys? They’re going to press our flesh! Well you’ve certainly got plenty to press. (greets Jack) Hello there. And what’s your name? Jack Trott, your highness. And I intend to rid the kingdom of Snot the Giant. And how do you propose doing that, Jack? I don’t know, yet. But I’m sure I’ll think of something. You’d like to win half of father’s kingdom, then? I’d rather take his first offer. I’m afraid my hand isn’t his to give. But you could always ask for it yourself. And if I did, what would your answer be? (mischievously) Now that would be telling, wouldn’t it? (calling her over) Come here, Crystal! Coming father! (to Jack) I think we’re leaving now, but we’ll be back tomorrow when father officially opens the fair. Will you be here too? Just let anybody try stopping me. The King whispers to the Chamberlain. (bangs his mace on the ground) Citizens of Mutch Twittering! Before they depart, the royal family would like to say a few words. The Royal Family address the crowd in turn. Thank you all for your warm hospitality, which has gladdened one’s heart. We shall return tomorrow to officially open Twittering Fair. (looking towards Jack) I’m especially looking forward to it. Villagers cheer and the royal party exit. You’re not seriously thinking of taking on the Giant, are you Jack? But he must be at least fifty-foot tall! The bigger they are the harder they fall, Simon. Well just make sure he doesn’t fall on our house. (to Dottie) Can we come to the fair again tomorrow, mum? No, we can’t. We’ll be too busy thinking of ways to make some money. Otherwise our essentials will be cut off, and we’ll also be evicted. Now let’s get back home while we still have one. Bean and Dunnit enter (SR) and cross to opposite side. Scabies enters (DSL) carrying a ‘For Sale’ board, and a sponge-headed mallet. They all meet centre stage. Good afternoon gentlemen. Are you perchance Bean and Dunnit, Broker’s Men? I do. My name is Scabies, and I’ve been asked to collect the villagers rent. Bbut I’m too busy with other matters, so I’d like you to act as my agents and collect it for me. You can keep 10% of everything you collect. That was a stroke of luck, wasn’t it? We’ll make good rent-collectors, us. You’re right there. Mind you, with our brains and good looks we could’ve been anything we wanted to be. Music cue 7: Bean & Dunnit. After song ends…Right, then, who’s first on the list? (checks the list) Old Mother Hubbard. I shall enjoy putting the frighteners on her. Are we wearing scary masks, then? You don’t need a mask. (offended) That’s not very nice!